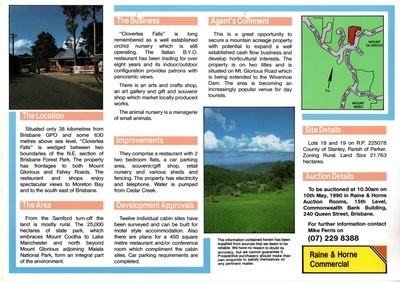 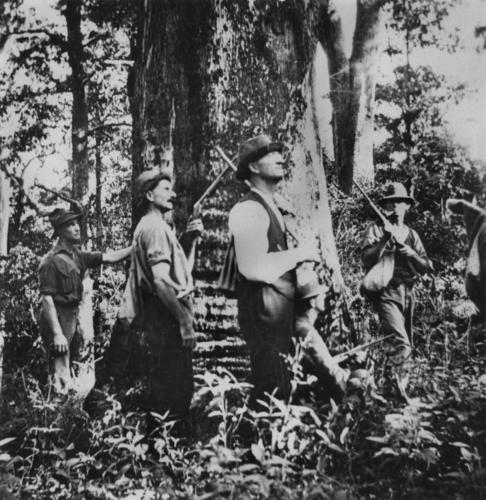 A detailed history of the Mt Glorious and Mt Nebo area has been prepared on the GloriousNebo website. 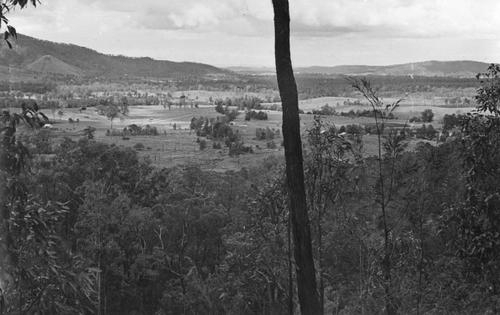 This site contains a wealth of information relating to Aboriginal history and European settlement and also has some reminiscences of early life on the mountains. Some of the old photos from the GloriousNebo website have been reproduced below with permission (thanks to Dom Hyde). 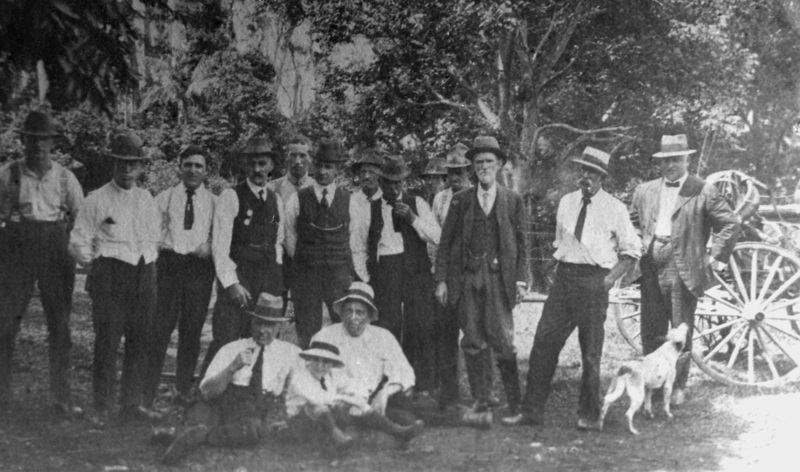 The Association is looking for someone to collect and collate historical stories, photos etc. 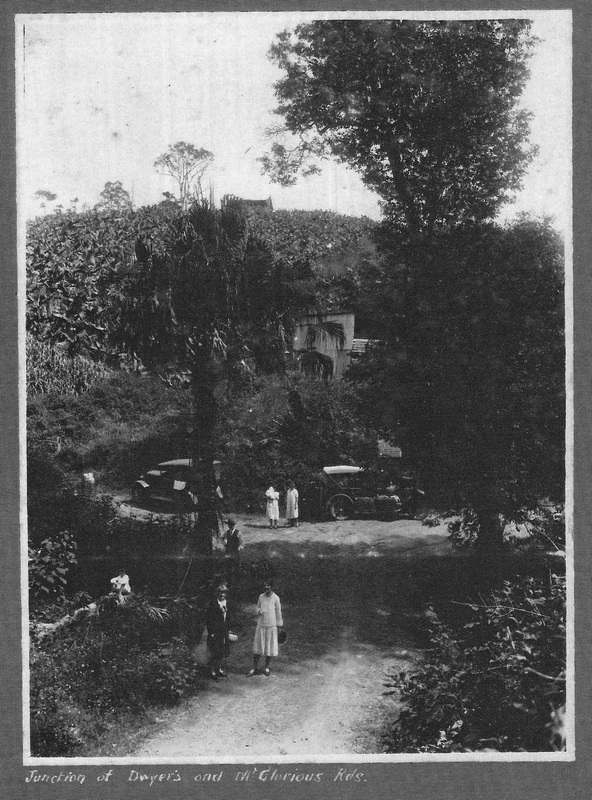 If you would like to help or have any old photos you would like to offer please get in touch. 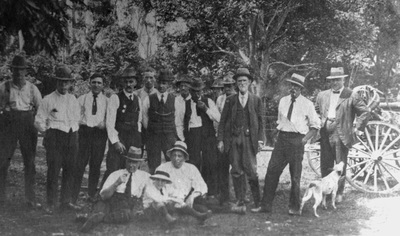 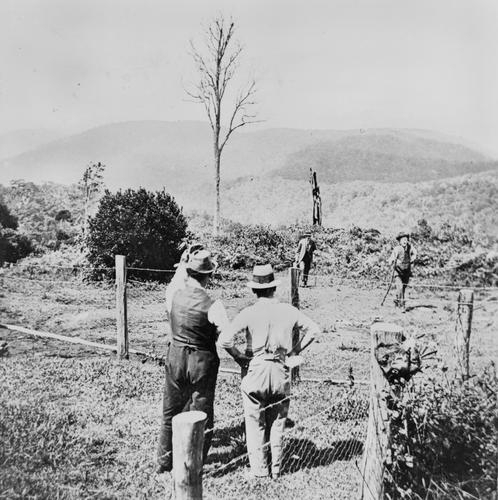 The following photographs were taken by a Mr Hay, of Brisbane, at Easter 1928. 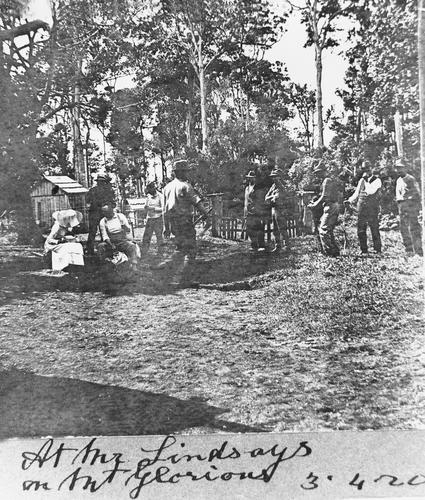 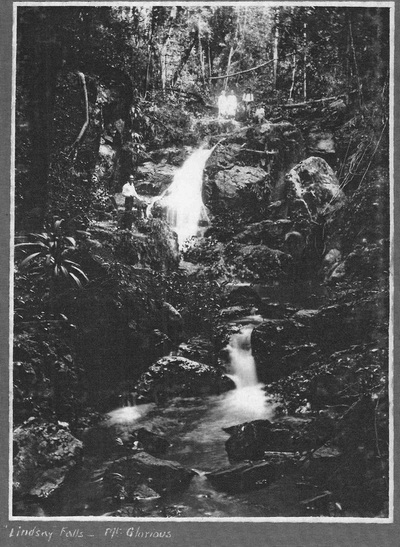 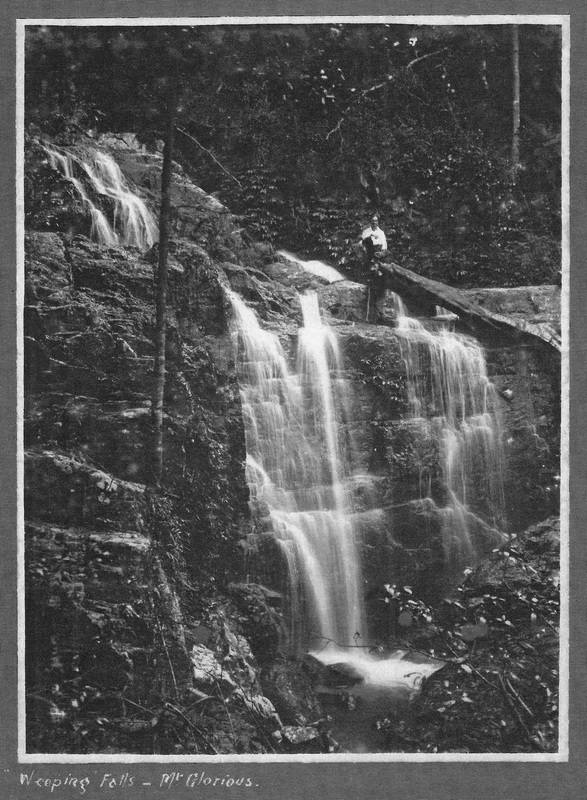 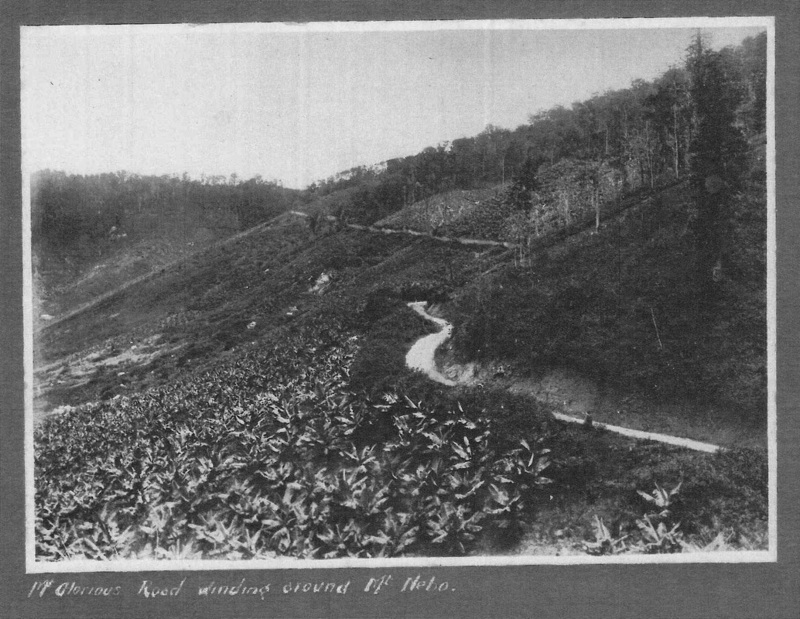 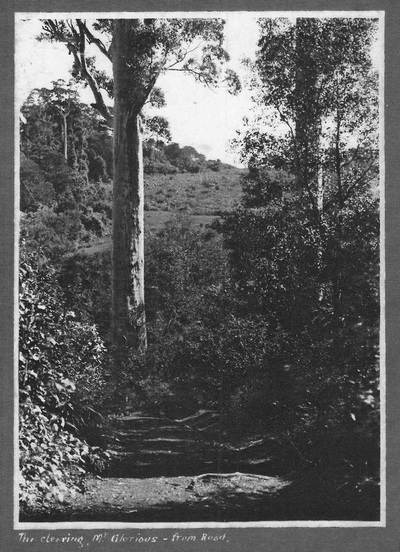 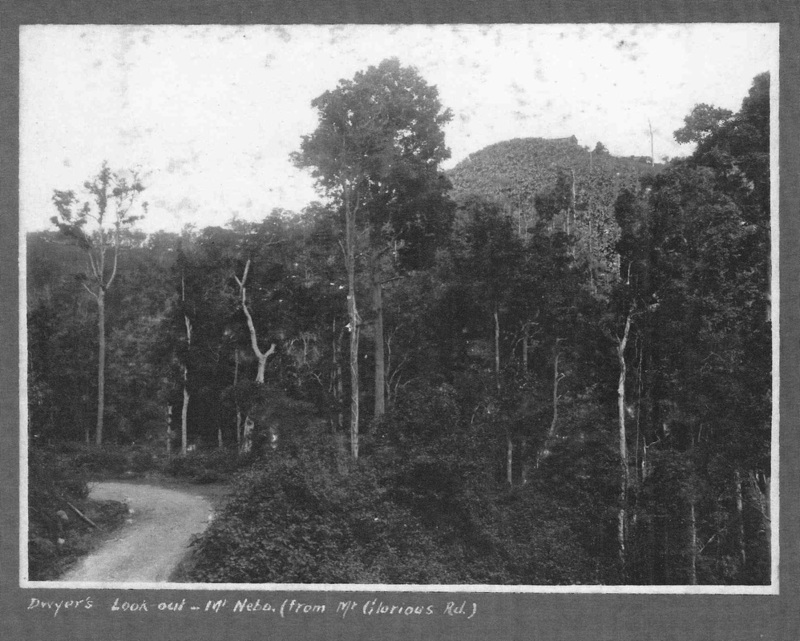 He visited Mt Glorious, apparently as the guest of Thomas Lindsay, and assembled the photos he took into an album which he gave to Thomas Lindsay. Lindsay later gave the album to Alice Patrick and it is now part of the Patrick Family collection. 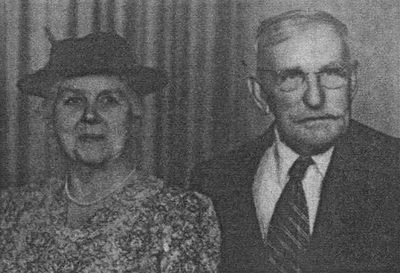 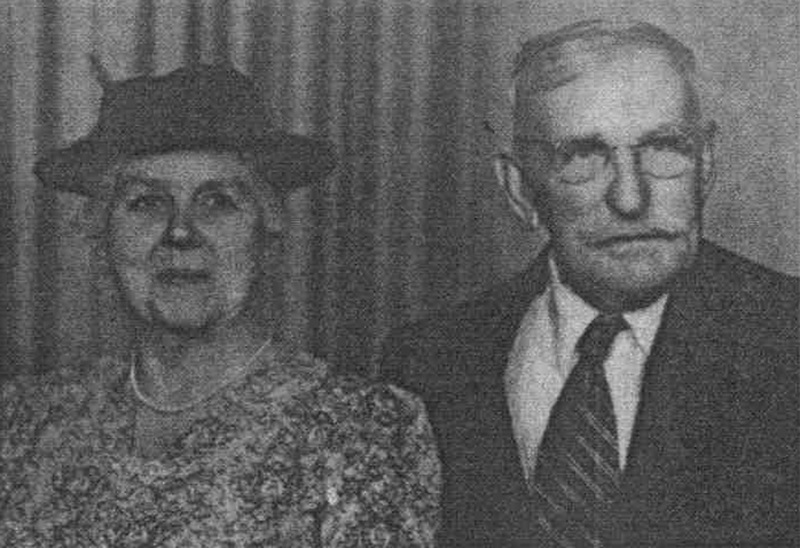 The photographs were provided by Mrs Liane Dobson, whose husband is the grandson of Dorothy Dobson (nee Patrick). 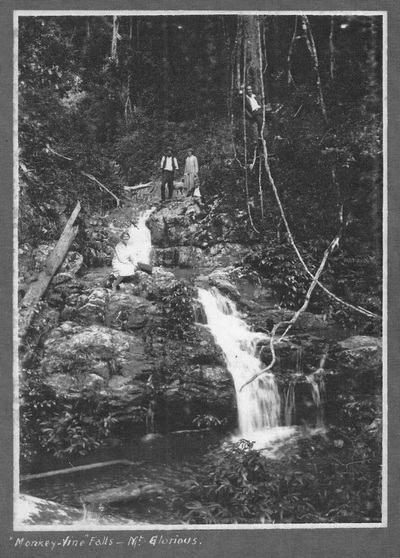 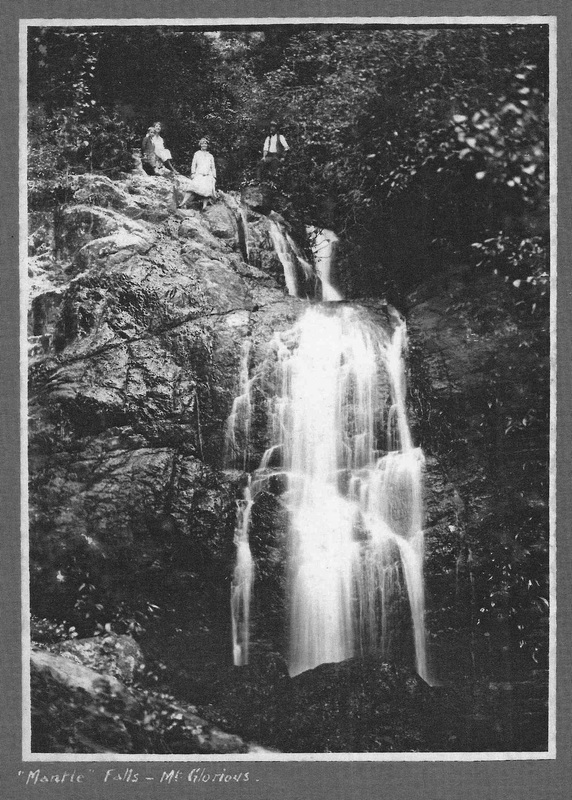 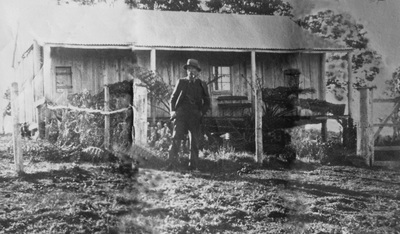 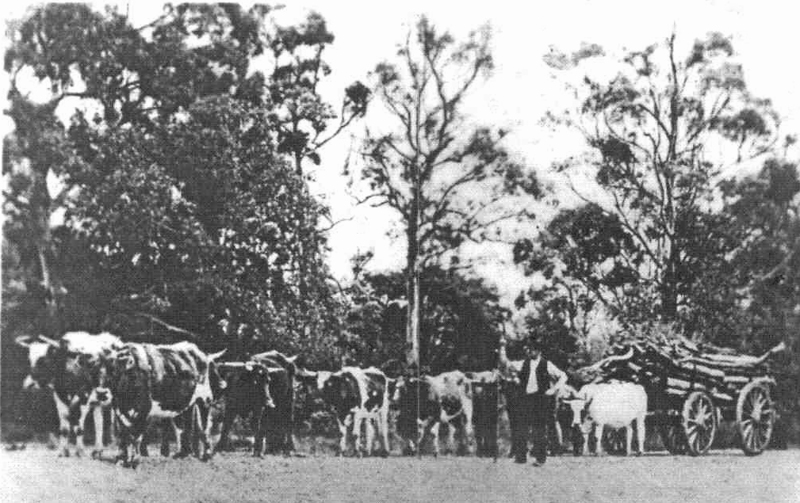 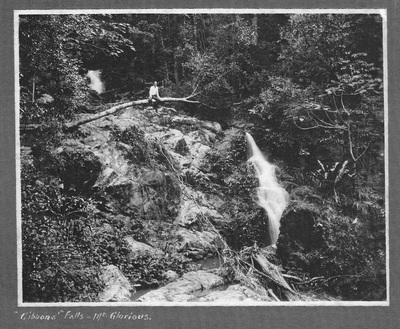 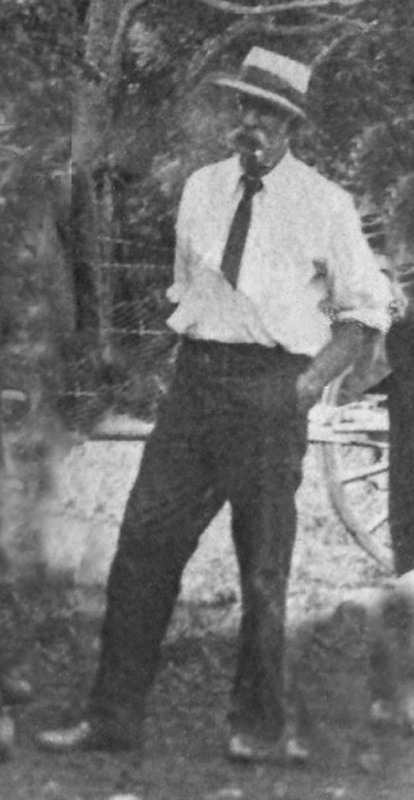 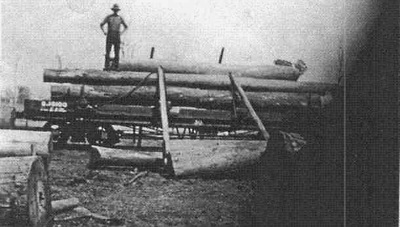 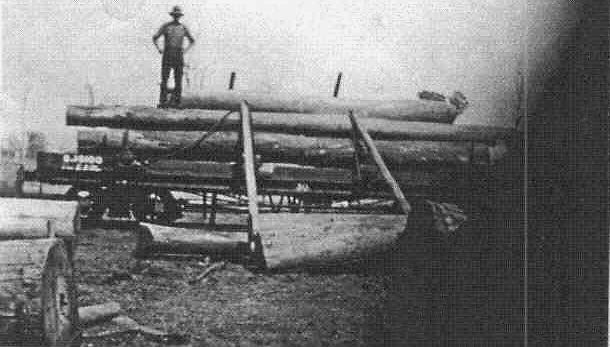 The identification of the waterfalls as being on the former Clover Lea property is by Peter Gibbons, whose father established the Clover Lea farm and who later ran the farm himself. 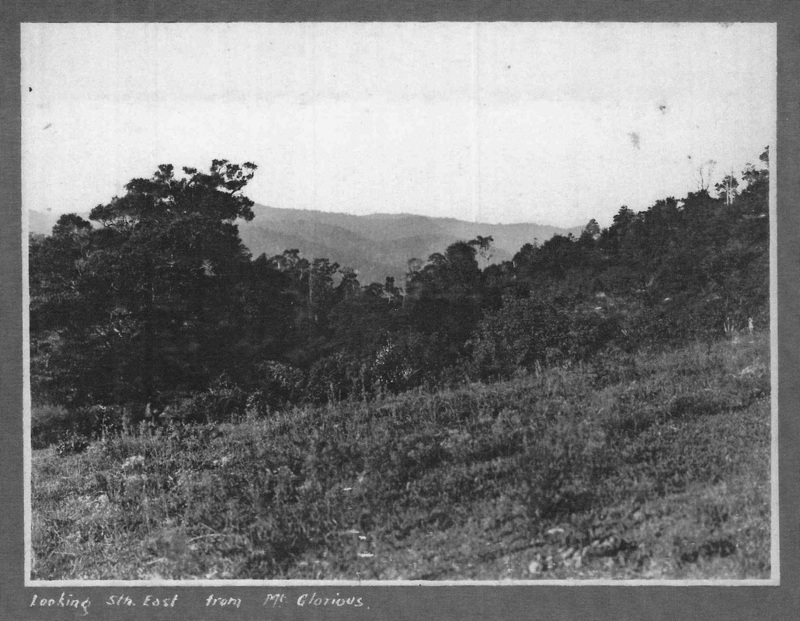 Clover Lea farmhouse has been converted into the present (2010) Mt Glorious Restaurant, on the sharp bend turning into Mt Glorious village. 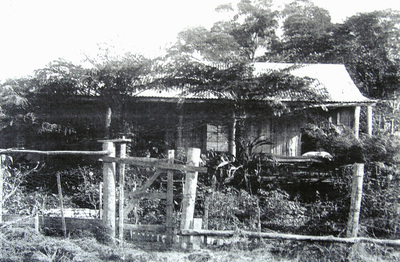 The farm formerly extended down beside Lindsay Road. 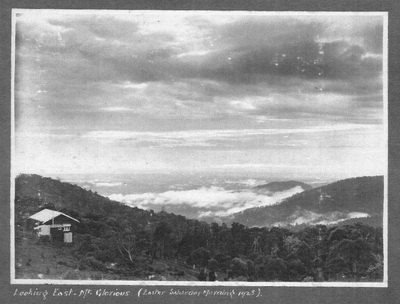 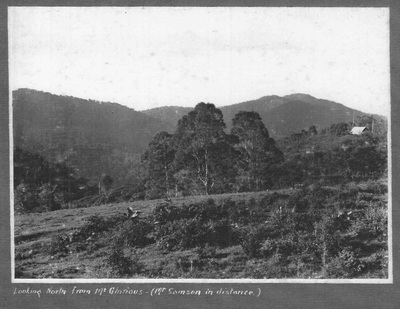 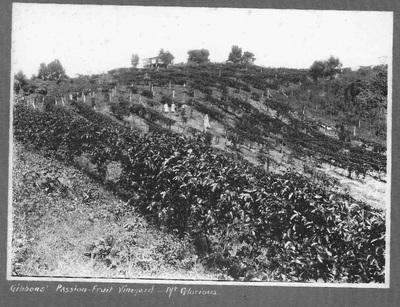 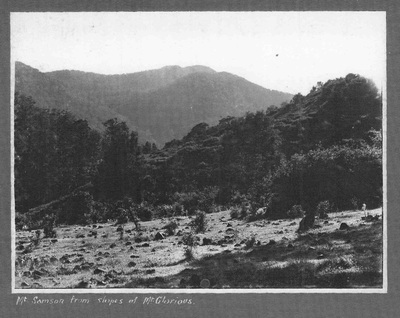 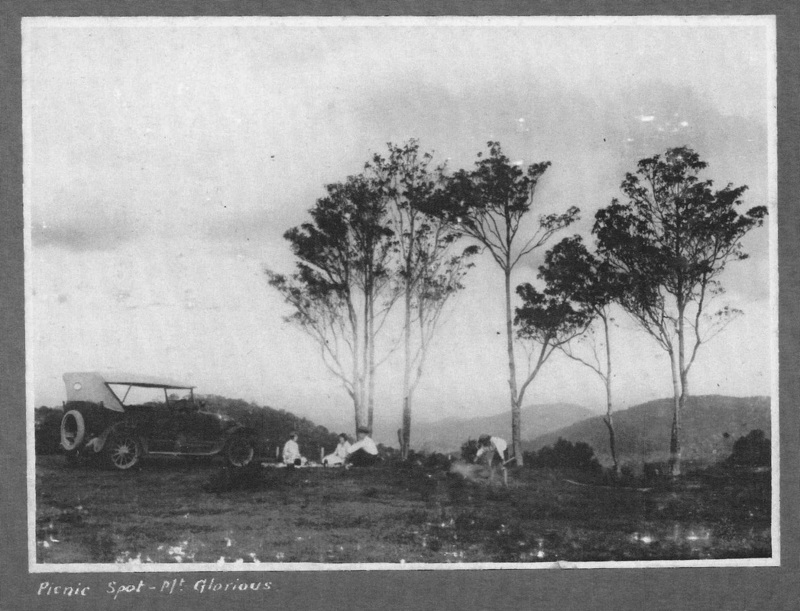 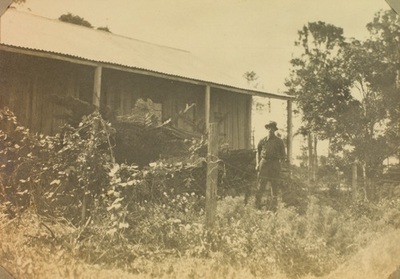 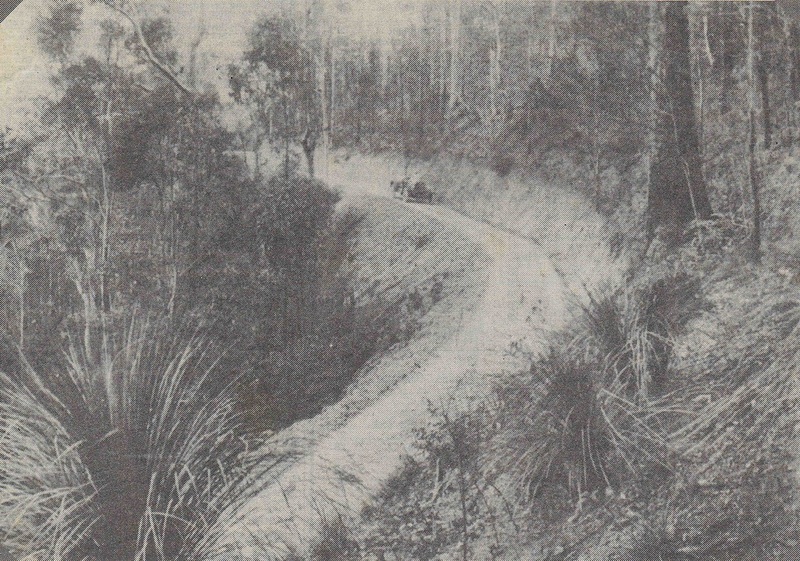 Selected photos of “Gentle Breezes”, Tom Lindsay and Mount Glorious (about 1914) from the GloriousNebo website. Real estate brochure for "Cloverlea Falls" that was to be auctioned in May 1990. 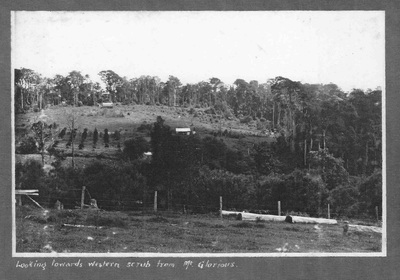 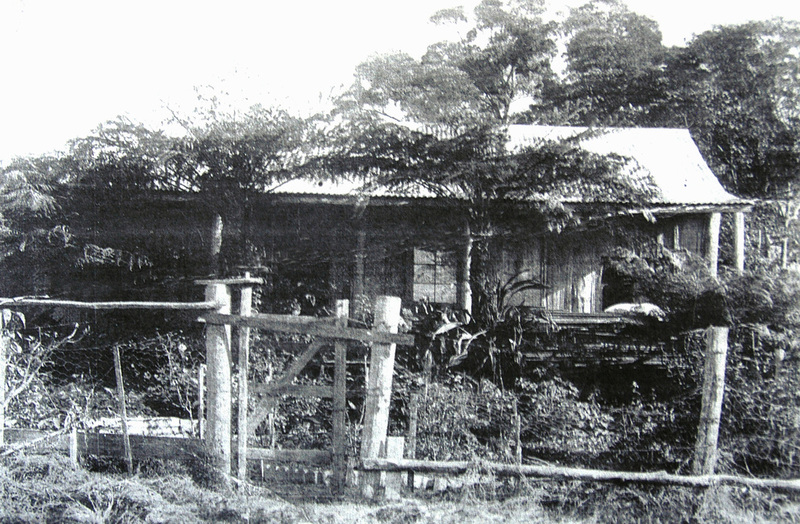 According to the brochure "Cloverlea Falls" had a well established orchid nursery, an Italian BYO restaurant, an arts and crafts shop and an art gallery. There was also development approval for "twelve individual cabins sites" and a "450 square metre restaurant/conference centre". 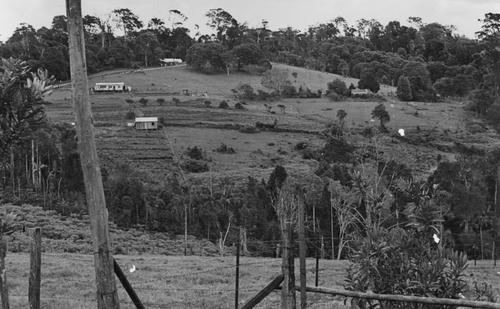 Longtime resident Cynthia Nicklin has collated the stories of residents she has known. Click here to read why they call Mount Glorious home. The Mountain News was a magazine that was published for residents of Mt Glorious, Mt Nebo and Jolly's Lookout. 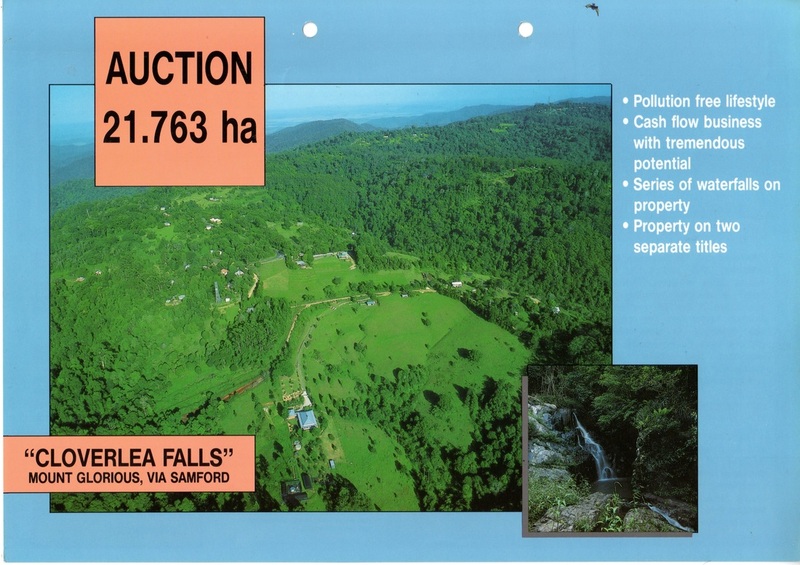 Later editions (2002-2010) were digital and some are available on the Glorious-Nebo website. 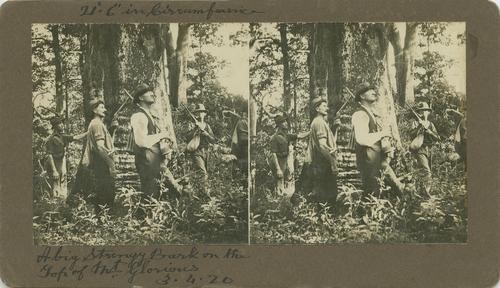 Earlier (pre-2002) editions are being sought so we can scan and ensure these are kept for posterity. 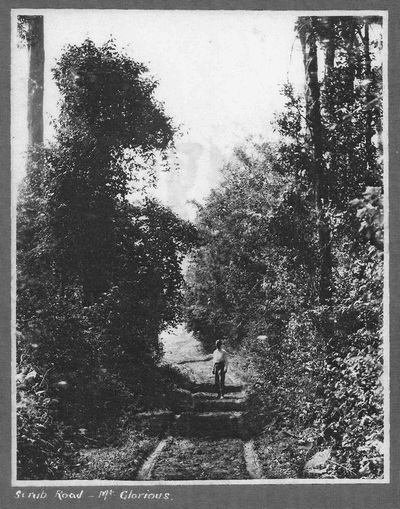 An extract from a 1992 edition details the history of the "One Way" (ie. 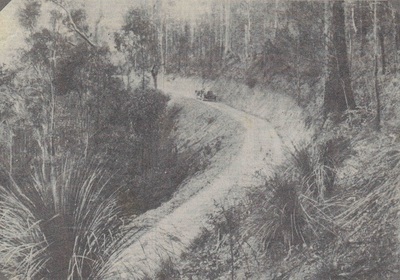 the Goat Track).